Manufactured by: Associated Equipment Company, Ltd.
Miscellaneous Info: The Associated Equipment Company developed the AEC Mark 1 armored car as a private venture using their 0853 "Matador" 4x4 10-ton Medium Artillery Tractor chassis as well as many of its automotive components. The AEC series was the only World War Two era British built armored car type fitted with a diesel engine. 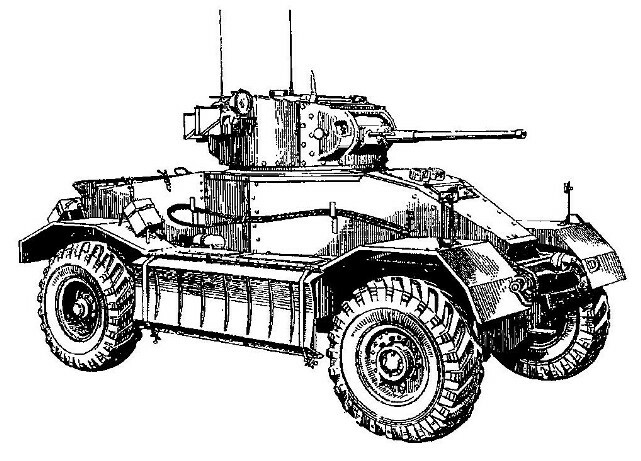 However, the armored car design changed the placement of the engine to the rear of the vehicle instead. The newly designed vehicle hull was topped with a two-man turret armed with the 2 pounder cannon also used on the contemporary Valentine Infantry Tank. * However, some vehicles in the Middle East were up-armed with the 6 pounder (57mm) anti-tank gun. 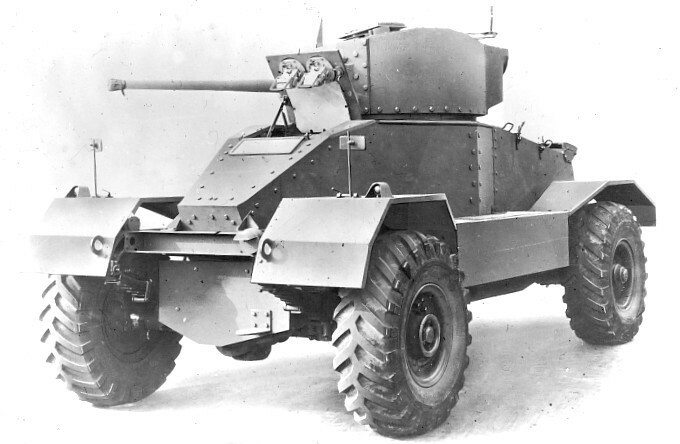 Approximately 120 Mark 1's were built before production moved to the improved AEC Mark 2 Armored Car. AEC Mark 1 Armored Car Model Kit (K055) Accurate Armour 1/35 Resin. AEC Mark 1 Armored Car Model Kit (3554) Maquette 1/35 Injection Molded Plastic; Out of Production? AEC Mark 1 Armored Car Model Kit (UK047) Millicast 1/76 Resin. Out of Production? Model Kit Build Log by Pedro Negron at IPMS/USA Borinqueneers (Puerto Rico) Website Miniart 1/35 Injection Molded Plastic. British 14.00-20 Wheel Set (SKP 262) SKP Model 1/35 Resin; For Use with AEC Heavy Armored Cars & Dorchester ACV.